President Petro Poroshenko urged law enforcement agencies to urgently investigate the murder of journalist Pavel Sheremet in Kyiv. On his Facebook page, Poroshenko called the incident a terrible tragedy, and expressed condolences to the family and friends of the deceased. "Terrible tragedy in Kyiv. No other words, but shock. I knew Pavel personally. Condolences to the family and friends. 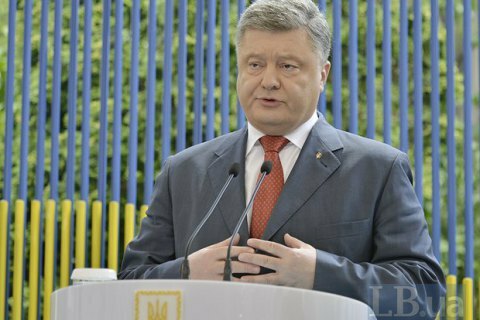 I have instructed law enforcement agencies to urgently investigate the crime and bring the perpetrators to justice," Poroshenko wrote. Sheremet was killed in a car explosion in the center of Kyiv this morning. The car belonged to the head of Ukrainska Pravda Alyona Prytula, but she was not in the car. Prosecutor-General Yuriy Lutsenko called the incident a murder and said that the car was blown using a remote-controlled device.